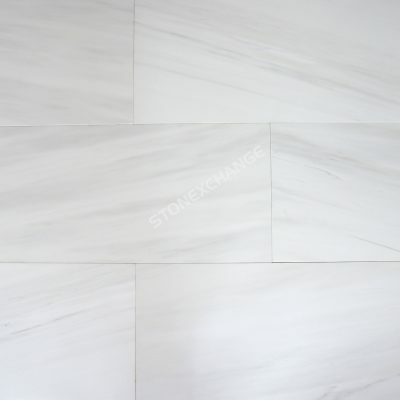 White marble tile is an excellent addition to any home. It brightens the kitchen when installed on the backsplash, and you can use it as the bathtub surround in the bathroom to visually enlarge a small space. Installed on vertical or horizontal surfaces, it adds a luxurious feeling to any home. Appropriate with most decors, it can be mixed with dark or light colors. However, you want to make sure that you purchase your beautiful new marble from a reputable dealer. Here are the benefits you’ll reap when you make the decision to buy your natural stones like marbles from a quality wholesale supplier. Contractors often have customers request certain products that they saw in a friend’s home. While it’s not always possible to cater to these special requests, the clients appreciate it when you can get more of a particular color or style of marble. Working with an established wholesaler makes this easier. The best wholesalers in the industry either have their own quarries that they pull stones from, or they have solid relationships with the owners of top-producing quarries. Nalboor understands that you never know when you might need more of a particular tile to make repairs down the road or meet the needs of a client. That’s why we work closely with quarries and maintain excellent working relationships with them. When you need more white marble tiles, you can count on us to obtain the perfect tiles for you. Marble is formed through the heat and pressure of nature, so every stone has its own slightly unique look. However, the manufacturing process is just as important as the slow development of the stone. The stones are quarried, cut and polished to ultimately provide consumers with a usable tile that will suit their purposes. Improper techniques or going too thin can result in a tile that’s more prone to cracking or is uneven. Other retailers may buy from cut-rate manufacturers, but Nalboor only uses high-quality stones that have been carefully treated and processed. Our suppliers care about customer satisfaction as much as we do. We know that you’ll reward us with your repeat business if we deliver superior tiles that are smooth, level, and expertly finished, so we work hard to provide you with the highest quality of tiles. In addition to the expert manufacturing, we also take the time to check our tiles when they come in and before they ship out to ensure that you’re receiving nothing but top notch merchandise. Other retailers are only looking for the quick sale, but we believe that our greatest success comes from repeat customers. We’re focused on keeping the customer we already have by providing them with excellent service, and we hope that you’ll reward us by returning when you need more white marble or another natural stone. You’ll be treated with respect, and you can count on our friendly team to answer any questions you have and help you with orders. You’ll enjoy the same high level of service every time you call, and that’s a great feeling. If you ever have a concern or questions about a shipment or product, we’ll be happy to answer them and help you resolve any issues. The best wholesalers aren’t just focused on today’s sale. They’re focused on customer service now and in the coming years. With knowledgeable staff members, they can provide you with advice you can trust when it’s time to choose your products, installation questions and maintenance issues. Whether you’re building custom homes or just renovating your existing property, you can trust top wholesalers for all of this advice and more. In addition to offering a wealth of industry knowledge, we also carry specialized materials designed for protecting and cleaning the marble products in your home. It doesn’t matter if you’re working on your own project or trying to impress a new customer; you’re going to want fast service. Top wholesalers appreciate the value of quick turnarounds and meeting their customers’ needs in a timely manner. That’s why Nalboor offers quick responses and shipments. We’ll work hard to fill your order quickly and get your tiles on a shipment. It will still take time to arrive because of the weight and crating requirements, but you can trust that we’ll get it there as quickly as possible. Even if you’re focusing on basic white marble tiles, you’re still going to need a range of styles. Tiles for walls are typically thinner, and pavers that are used outside come in different dimensions. Highly polished tiles are fine for living rooms and areas that will remain dry, but you need tumbled or textured stones if you’re installing marble in a bathroom or outdoor area that will become wet with use. The best wholesalers in the country know that there is no one-size-fits-all solution when it comes to marble tiles. They’ll offer a range of finishes, including brushed, flamed, honed, polished, tumbled, sandblasted and unfilled stones. They’ll also offer square or rectangle tiles in different sizes and even mosaics. This allows you to work the stones into almost any type of area while minimizing your installation cutting needs. While you’re focusing on white marble, you may find that a few other colors are required. White marble can be used in any part of the home, but you can make it stand out more by adding borders and decorative touches with beige, black, cream, green, pink, red, gray and other colors. The best wholesaler will have a range of colors to choose from so that you can develop the perfect finished look. Retailers offer a range of natural stones, and they usually ask the highest price for their products. This is because the merchandise has moved through several hands before it reaches them, and the price increased with every transfer. Some wholesalers say they help you save money by cutting out the middlemen, but their prices are just as high as the retailers. The best supplier will truly help you save money by offering prices that are well below traditional retailers. The price savings goes beyond the price per square foot. In addition to offering better prices on quality merchandise, they’ll also invest in better quality control measures to ensure that you receive the superior products you expect. Shipments will be carefully packaged to avoid breakage, so you can also save time and money by reducing the waste. A wholesaler that’s committed to customer service will also offer custom ordering options. There may be some minimum ordering requirements when custom work is requested, and you may have to allow a little more time for the special manufacturing requirements. However, the top wholesalers won’t limit you to what’s available in stock at that moment. They’ll be happy to place special orders to ensure that your needs are met.Whether you’re a contractor or just trying to renovate your own home, it’s important to work with a high-quality wholesale supplier. You don’t have to own your own business to visit Nalboor because we fill large and small orders alike. With Nalboor by your side, you can benefit from attractive prices and superior products. You’ll enjoy great customer service, and you’ll benefit from our commitment to customer satisfaction.